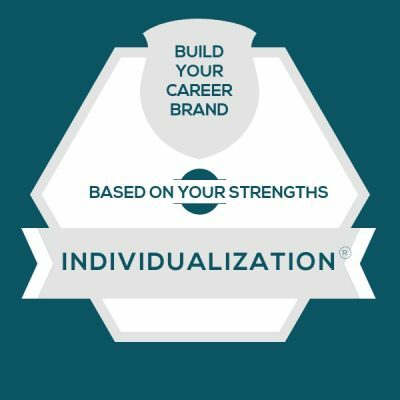 I hear a lot of curiosity about how to apply your CliftonStrengths talent theme of Individualization to your career. These are the cultures, interactions, or situations that feel like soul-sucking drudgery to someone with the talent theme of Individualization. They might even make you want to quit the team. So I’ll give you a couple of these to be on watch for — because if they fester, you might get the urge to quit the job or become detached and disengaged at work. Execution Over People. Imagine going to a kickoff meeting for a new project team, and the head of the team dives right into the task list. They don’t give you time to get to hear how each person’s strengths can fit into the bigger picture. They don’t even give you a second to get to know the people you’re going to work closely with. If the feeling of brushing over or devaluing the people side is part of the culture, it might be really draining for you when you lead through Individualization. This is because you thrive by knowing what makes each person tick. You’re at your best when you can see how people’s differences are their differentiators. Without having this step, you’ll feel like you need to cram that into your personal process. And if there’s no time made for “those soft things” you’re going to feel drained. One Size Fits All Rules. Imagine a situation where your manager distributes a list of canned responses that you are required to use when contacted by any customer. You are told not to deviate from this list, regardless of the person’s individual needs. I remember this happening early in my career when I was required to answer the phone by saying, “It’s a great day at ACME Company, how may I help you?” This drove me crazy. Although I could appreciate the positive vibes, it felt fake. Those were not words I’d ever choose, and they never felt genuine coming out of me. This is a double whammy for Individualization. First, if you have this theme, you likely don’t believe that one size fits all. Each person would be better off coming up with their own version of a positive vibes greeting. Secondly, if you have Individualization, you might dislike being boxed into rules. So when a one-size-fits-all rule gets implemented, it’s going to feel like an energy vampire every time you have to execute on it. You likely feel that any list of responses should only be a guideline. And you’ll know that it could be made better if you could put a unique spin on it based on each customer’s style. These are ways to apply the talent theme of Individualization at work, even when the job duties on the team feel pretty locked in. If you’re exploring this concept as a team manager, be sure to have a conversation around these ideas. You’ll both be able to come up with places to apply them. Style Spotting. When you get a new customer, and your team doesn’t know anything about them, assign someone with Individualization to research the customer and create a style profile. They’ll have fun uncovering how they are unique, and what kind of communication they prefer. Team Connector. Say you have a newly formed global team that’s working on a huge new project. You don’t know most of the team members, and they don’t know each other. Everyone’s in a different time zone, with unique cultures and experiences. If you want to kick off with a team building meeting or a get-to-know you activity, assign it to someone with Individualization. Even if you’re listening as an individual contributor and no one assigns you a task like this, take it on yourself. Find one fun fact about each person and make a one-pager that shows each person’s photo, role on the project team, and one fun fact. This will be a fun and useful exercise for you, which will help you get you feel more productive because you now know something about each person. And it helps the team connect as well. It’s a win all the way around. Objective 3rd Party. If you have a personality clash on the team, or you’re having one yourself, call on a teammate who has Individualization. This person can be the objective 3rd party who is excellent at seeing the gifts and positive intent of each person. Often, their deep intuition for seeing value in each person can bring the battling parties to see that they’re not so far away from each other. Often, they can find the differences and see how they can be used as a positive partnership. Of course, use this one with caution. You don’t want to send in a peer as an arbitrator when the goals are not artfully set up and executed. Yet, if you have a highly mature and self-aware team, this is an outstanding use of Individualization.